Rubbermaid Commercial 1791794 Rough-Surface Microfiber Mop, 17.5". 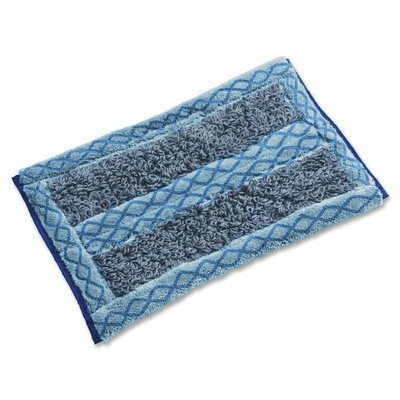 Double-sided microfiber mop combines the best features of microfiber mops and string mops. Clean floors 45% better and up to 20% faster than string mops. Variety of uses: airports, parks, auditoriums, janitor closets, walkways, food courts, bar/restaurant, deli/bakery, service counters, etc. Double-sided design covers up to 500 square feet with one wring. 17.5 inches long by 12 inches wide by 0.5 inches high. 0.712 pounds. Imported.